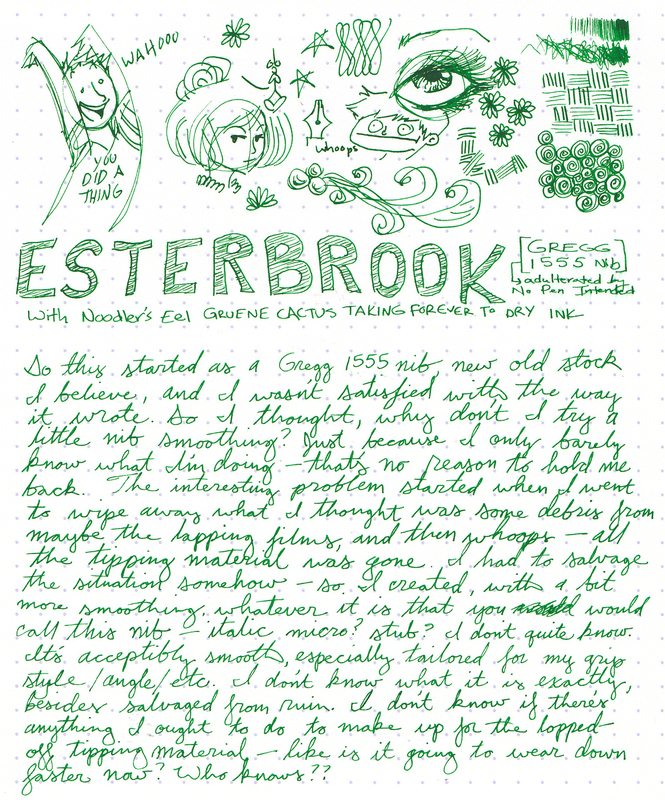 My first Esterbrook was an impulse purchase, a beat-up and well-loved blue number whose nib had, over time, been worn to its owner’s perfection. 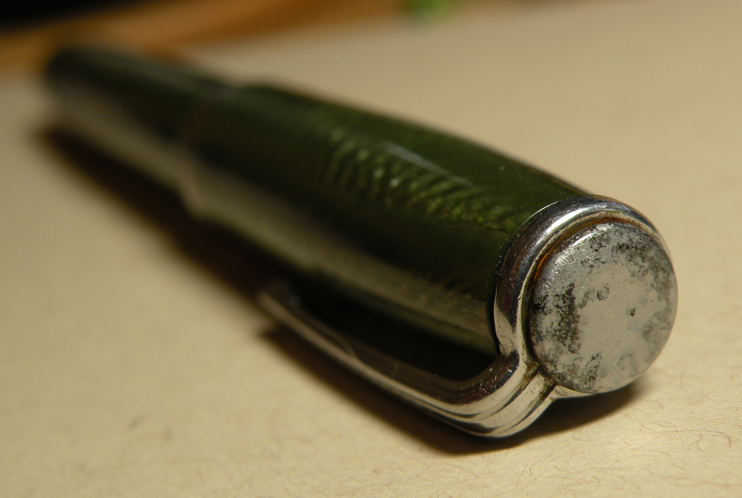 When I wrote with it, and the angle was right, it would be smooth as butter—but I wasn’t its original owner, and at times my writing would fall off that sweet spot. 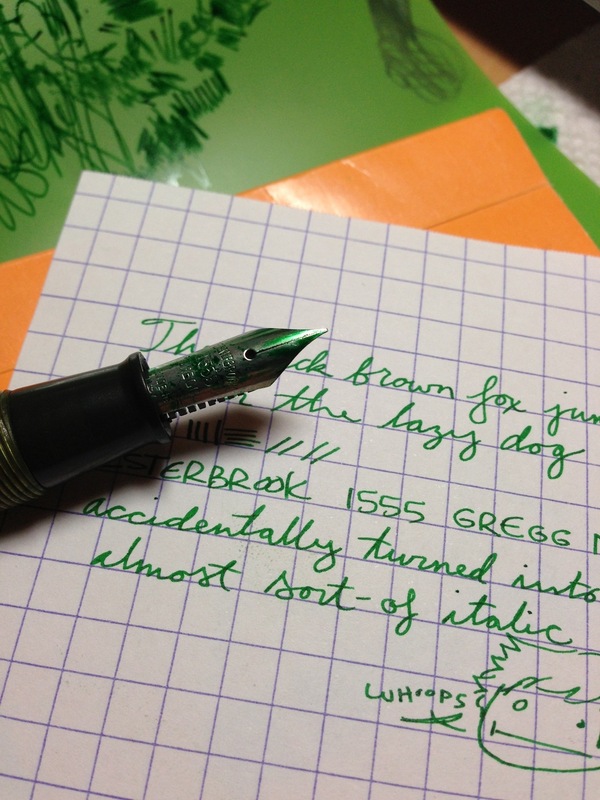 I needed to get an Esterbrook all my own, with a refubished body and a brand new nib. I’m generally not a fan of pen bodies that put me in mind of bowling balls—and this pen is no exception. I have no doubt that this is the sort of design that tickles some people pink, but it’s making me feel toothpastey-green (that’s the scientific opposite color of pink, yeah?). It’s not my style. Nothing so bad that I wouldn’t use it; I’m just never going to take this pen with me and consider it a fashion accessory. Does anybody name their pens? I’m thinking this one looks like an Ethel. The pen I bought came nicely repaired, and with the allegedly easily broken plastic jewel on top replaced with a black metal button, the coating of which will rust off if left soaking in water. Oops. I was advised, possibly by wizards, probably more likely by the man who sold it to me—who, if my notes are to be believed, would possibly be one Frank Tedesco— to get a 1555 Gregg nib, and recommended to draw figure 8s on a pane of glass. I didn’t have any spare glass available to draw on that wouldn’t get me in trouble, so I put off the task of personalizing the nib, which was a shame because it was a little scratchy and unsatisfying out of the box. Then one day, feeling inspired with a touch of insomnia, I decided to pull out my little Richard Binder nib smoothing kit to see what I could do. Turns out what I could do was accidentally remove the very tip of the nib, you know, all that tipping material. And it turns out I could still salvage the nib from this disaster. I carefully consulted my Pilot italic nib, and after several tries I’ve ended up with a nice, velvety, fine sort of almost italic nib, perfectly suited to my angle of writing. The ink flow is just right, and the overall experience is one of writing to be savored. I can write fast if needed, but this pen is not intended to be a note-jotter; it shines best at a smooth, contemplative pace. Everything will be ok. Do not panic. Please remain seated. In the end, I’m glad for the mistake, because the pen writes better for me now than it did before, but I’m still a long way off from being paid money and entrusted with other people’s nibs. One day! I couldn’t sleep, so I made myself a sandwich. I still couldn’t sleep, so I decided to try to do something about an Esterbrook nib that was not satisfyingly smooth enough. Armed with a Richard Binder nib smoothing kit and just enough knowledge to be dangerous, I started out with a Gregg 1555 nib and ended up losing all the tipping material (I went to clean off some debris around the tip; suddenly, no tip). The pen is now nearly italic, but at least it writes smoothly! This is a project that anyone with a complete disregard for the mind-numbing tedium involved can complete. 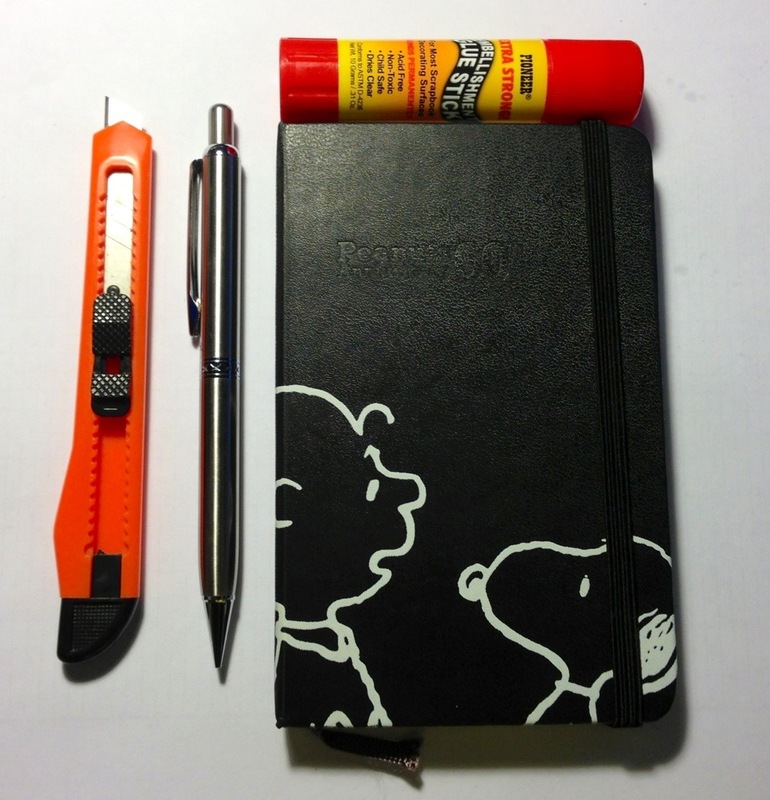 You’ll need a sharp knife, some kind of proper glue (for unfathomable reasons I chose a glue stick—Pioneer extra strong permanent bonding), a pencil, and a phone thin enough to fit in a notebook. Or a notebook thick enough to conceal your lumbering phone. 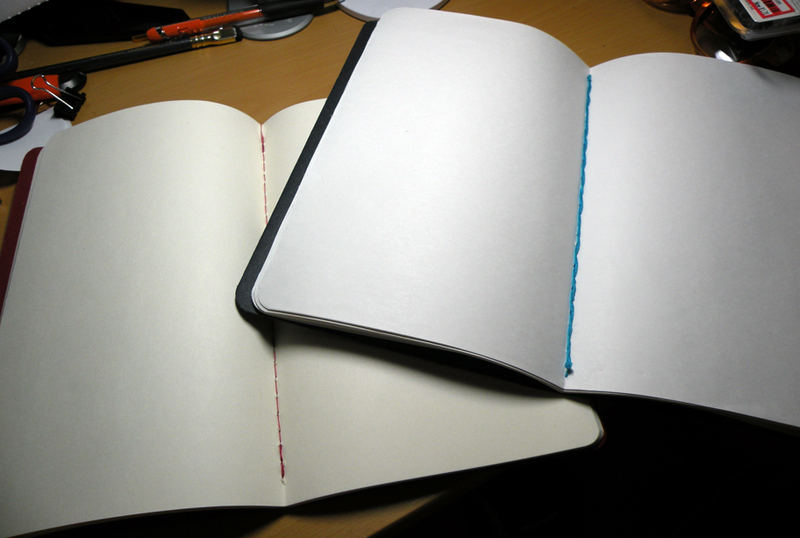 Unless you really hate your writing, you’ll want to get an unused notebook, preferably one with useless paper. No sense wasting good paper. Got this on sale when Borders went under. 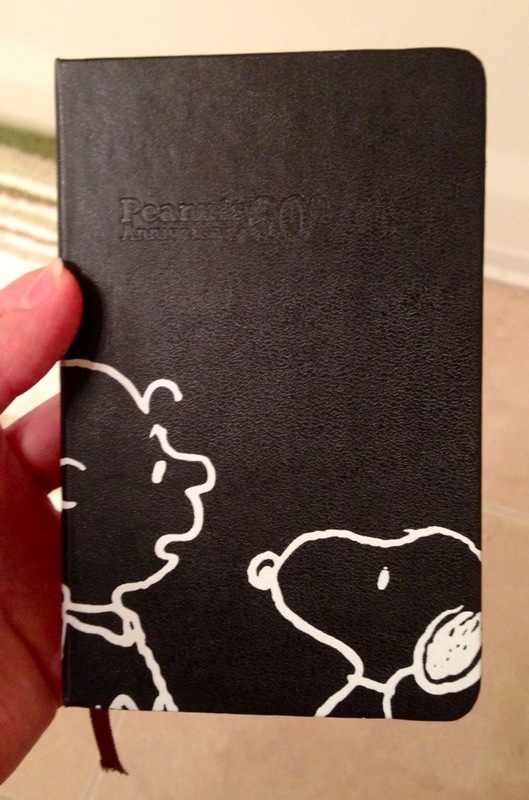 Cool cover, but blank/plain Moleskine paper is pretty much the worst. Finally found a use for it! The easy part: hold the phone next to the paper of the notebook, so you can see how far down in the depth of the paper will be sufficient to fully conceal the phone. 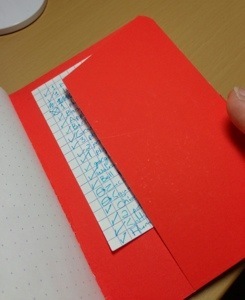 Open up the notebook where, if the phone were in the notebook, the page would be flush with the screen. This is the worst tutorial explanation. 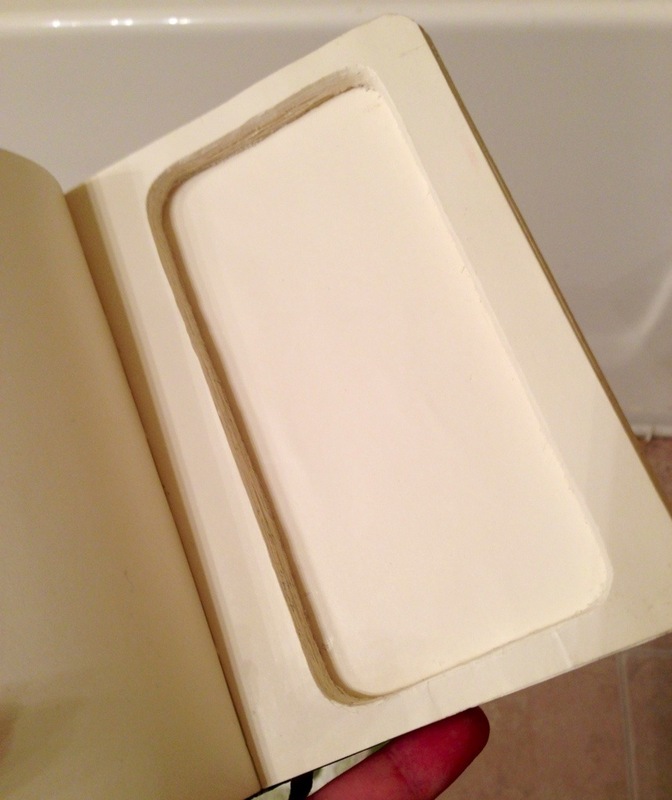 Put your phone where you want it to nest on the page and carefully trace around it. Scream like a pterodactyl when you still manage to get graphite on your precious technological baby. Once you have your outline, start cutting. A metal ruler helps on the straight edges. Check your work periodically–get all the paper dust out of the hole and see how your phone fits. Keep cutting until the phone in the hole is flush with the top cut page. Once that’s done, start gluing. This part will be tedious. Say goodbye to huge swaths of time. Question your decision to undertake this project. 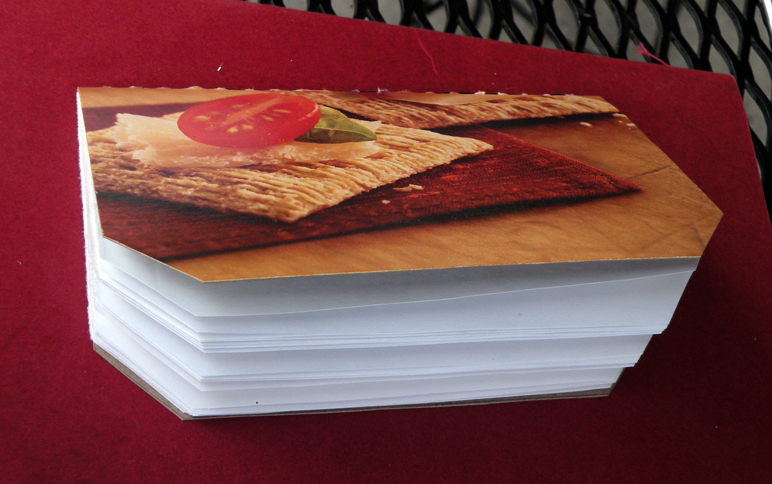 Once you’ve glued all the cut pages together AND THE GLUE IS DRY, check your work again. 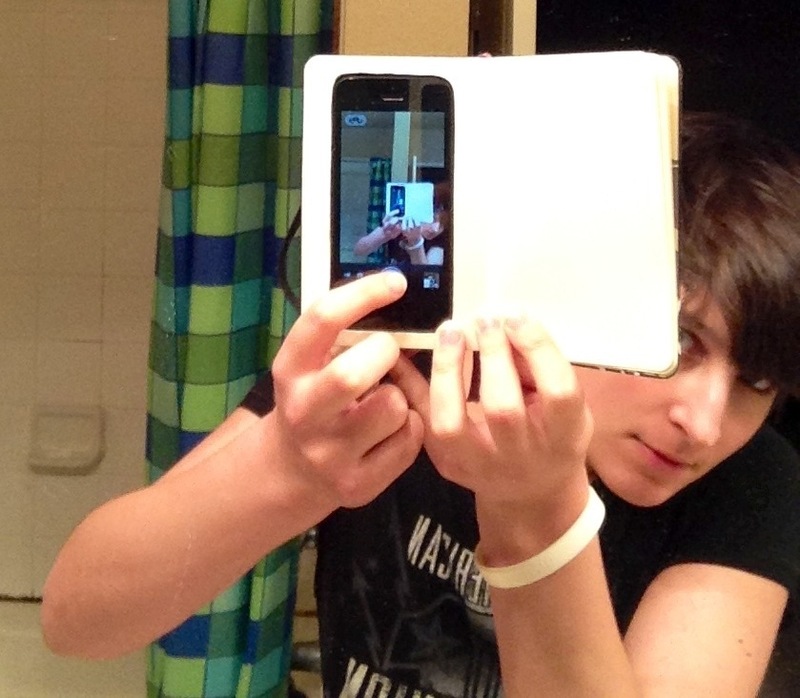 You’ll probably have to do some touch-up trimming for the phone to fit properly again. Almost like you can’t even tell. I swear it looks a little better in person. With the band on. With the phone actually inside instead of taking the picture. 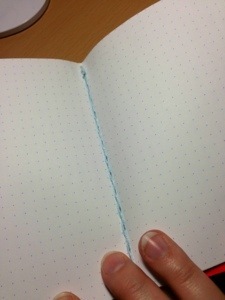 When it’s done, the glue and your inability to line up the pages properly will give the notebook a slightly used look while concealing what’s inside. The downside: no access to ports, buttons, or the main camera. The upside: UNPARALLELED STEALTH. And I’ve left access to the back pocket, as well as some pages in front and back in case I absolutely need to write something on paper. 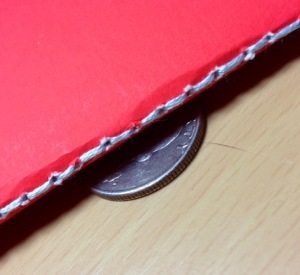 It’s surprisingly secure (I cut carefully to make sure it would fit just so, though it will undoubtedly get looser over time) yet easy to get out by pushing on the back of the pages and flexing the block of glued pages a bit. Or if you’ve got money to drop, you might do better to either get something like theGOODbook case, or pay someone to go insane making one for you. 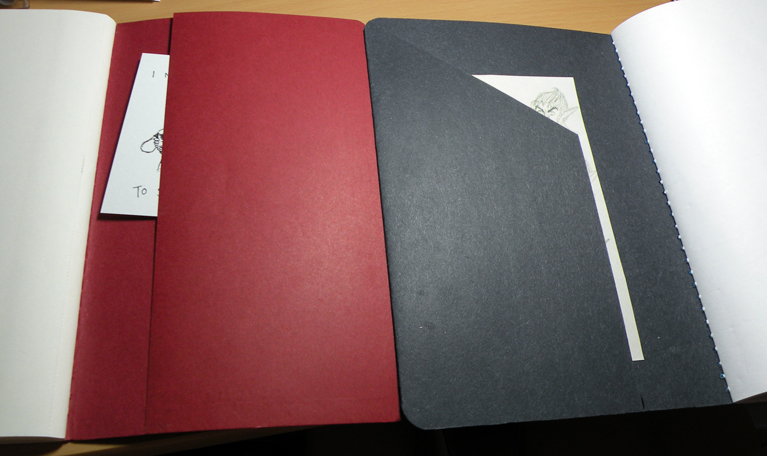 You remember that post I did about making your own cahier-style notebooks? Well I’ve been making scads of them, and I’ve made one to give away to all of you! Literally, all of you, as this contest will be open to everyone! 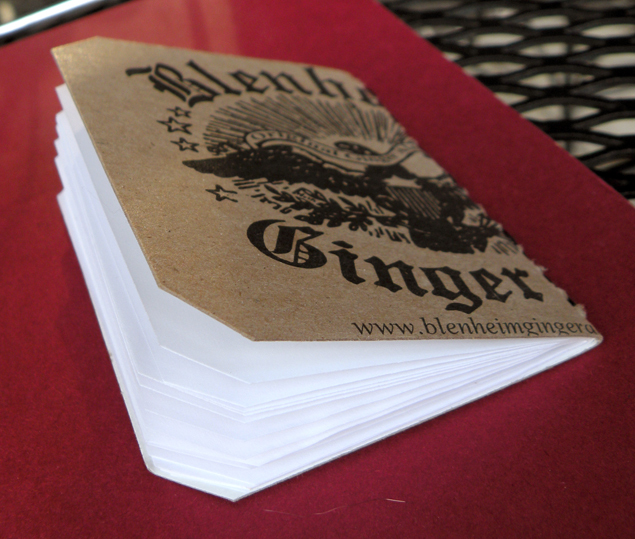 It has 26 pages of white Rhodia dot grid paper, size equal to 1/2 of a sheet of Rhodia Bloc No. 16. Please forgive this experiment in laziness, but pulling out the big camera takes more effort. More effort means longer to get the giveaway to you. This phone takes good pictures, but perhaps not when I can’t hold my hands still at 4 in the morning and I only upload the medium image size. TOO LATE NOW. THE GIVEAWAY MUST GO ON! 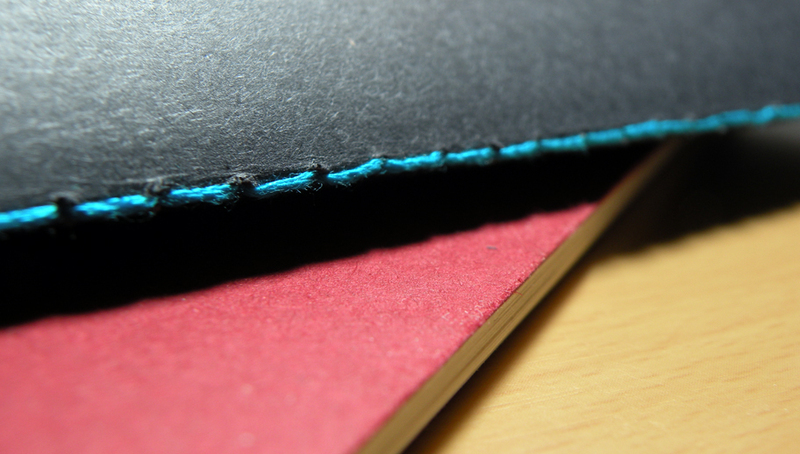 That’s about all there is to the notebook, just a simple, lovingly hand-made imperfect little notebook up for grabs. To enter, just leave one comment on this post any time between now and Tuesday, December 18th 11:59 PM Eastern Standard Time. This contest will be open to everyone, everywhere! But since I’m footing the bill, if you live far away you’re not getting any frilly big-money rush delivery. One winner will be picked at random from the comments section of this post. Make any kind of comment—but only one comment! Comments in excess of one shall be deleted. The comments will be numbered in the order they are received, i.e. the first comment is #1, the second #2, and so on. Because my blog doesn’t seem to number the comments on its own yet, and I STILL don’t have time/the willpower to fix it, I will again hand-number all the entries in Photoshop like I did here because I am a masochist and numbering is just ever so fun. The Random Integer Generator at random.org will be used to pick the number of the winner. I’ll post the contest winner on Tuesday, December 18th. Winner will have one week to email me. There’s a link to my email at the top of the right sidebar. Here’s a few quick pictures for those of you curious about swapping out the nib of your Pilot Prera for the lovely italic nib on the Pilot Plumix. Possibly you want to make your handwriting fancier or maybe you dropped the nib on a hard tile floor; whatever the reason, here’s how I did it. I started with the Prera for this demonstration simply because it was closer to the camera when I started taking pictures. If you haven’t done this before, maybe start on the far cheaper Plumix (or Pilot Penmanship, if you’re looking to swap on an extra fine nib); the motion is the same. Hold the barrel in one hand. 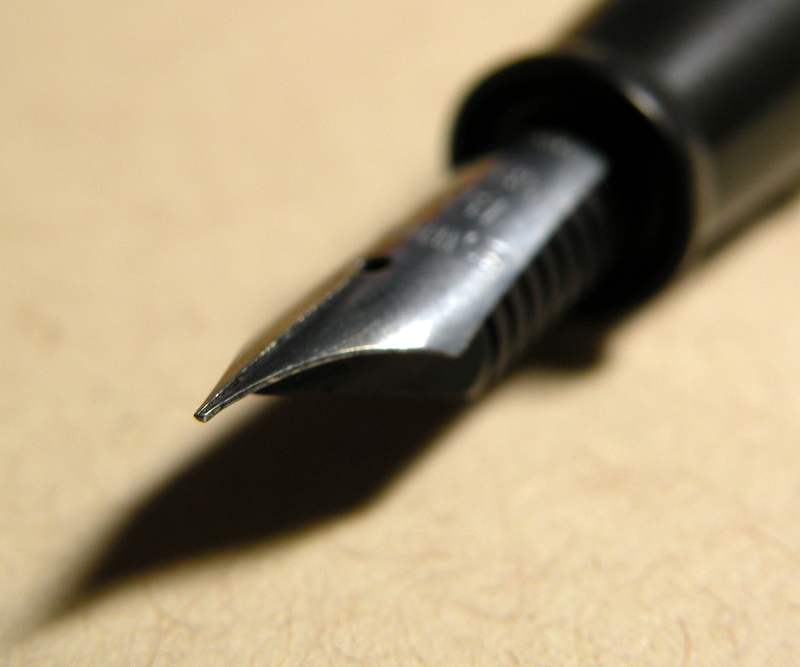 Hold the nib and feed with the other (I prefer putting my thumb under the feed and my index finger on top of the nib). Slowly pull the nib and feed out, and perhaps try gently twisting the barrel as you do so if it seems stiff. The nib and feed should come out, and you’re halfway done. 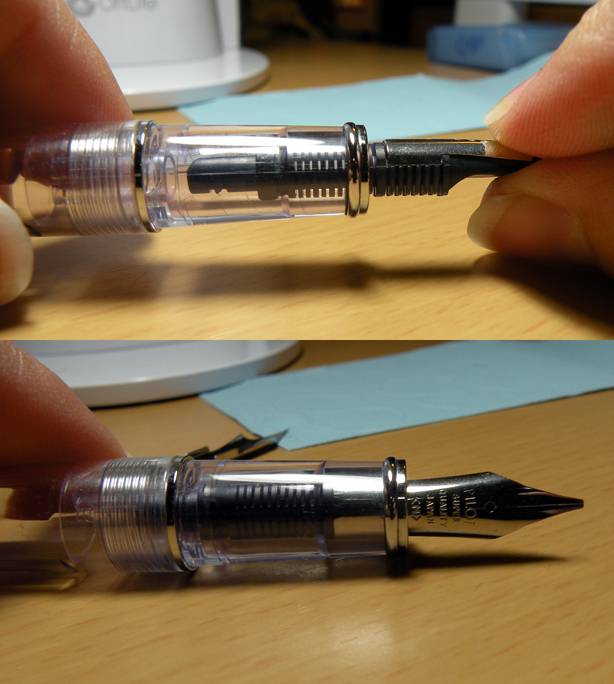 If you started with the Plumix, keep the nib on hand and set the rest of the pen to the side. Take the second pen, and do the same thing to get the feed and nib out. Though I swap the nibs, I like to keep the feeds with their original pen, but that’s probably not necessary. Take the feed you want to put in the Prera and the nib you want to be on the Prera. Put the nib on top of the feed; the feed is notched on the top and sides in such a way that you’ll know when it’s on where it should be. 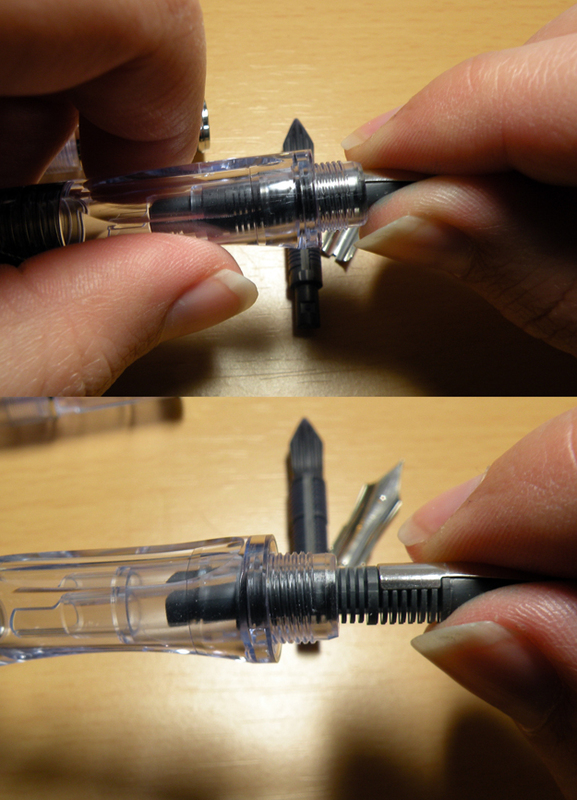 Hold the nib and feed together in one hand, the barrel in the other, and slide them together until they stop. From what I can tell, there’s no particular way the feed and nib have to line up with the barrel, so there’s no big worry. If you’ve done this all correctly, you should have a Pilot Prera with an italic nib. If you’ve done this incorrectly, I absolve myself of all responsibility. 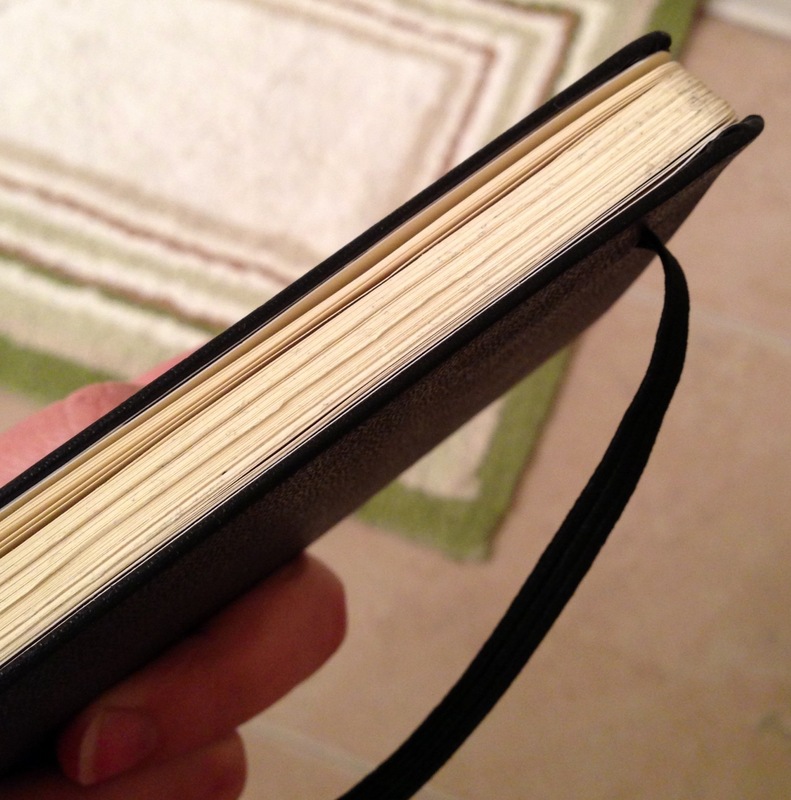 WEEP, MOLESKINE! YOUR REIGN OF TYRANNY IS AT AN END! ... oh who am I kidding, millions of people will still buy Cahiers anyway. 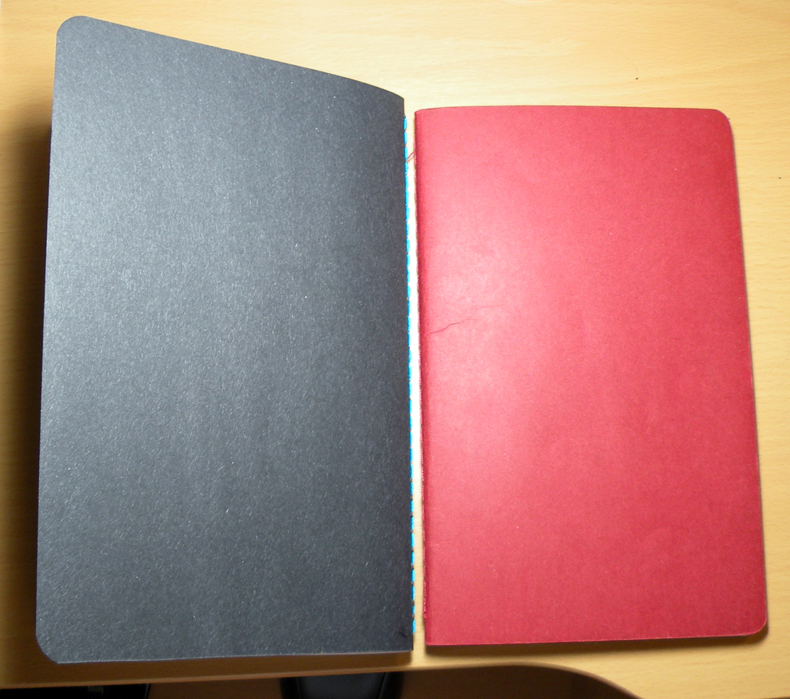 I love the Moleskine Cahier, but for all the wrong reasons. Let me explain. The Moleskine Cahier plain notebook contains what is by and far literally THE WORST PAPER I have ever encountered in my life. The only thing worse would be newsprint, or napkins. Used receipts would be a step up. And that terrible paper is why I love it. I use these notebooks for pencil sketches, and since the paper is so shoddy I’m not inhibited by the art-blocking psychological worry of wasting good paper. I end up drawing more, being more loose and creative, and I make better drawings as a result. I also like that the notebook is thin, so it has a low profile when I carry it in my already notebook-laden bag (what’s the point of leaving the house, really, if you don’t have at least ten notebooks with you?). 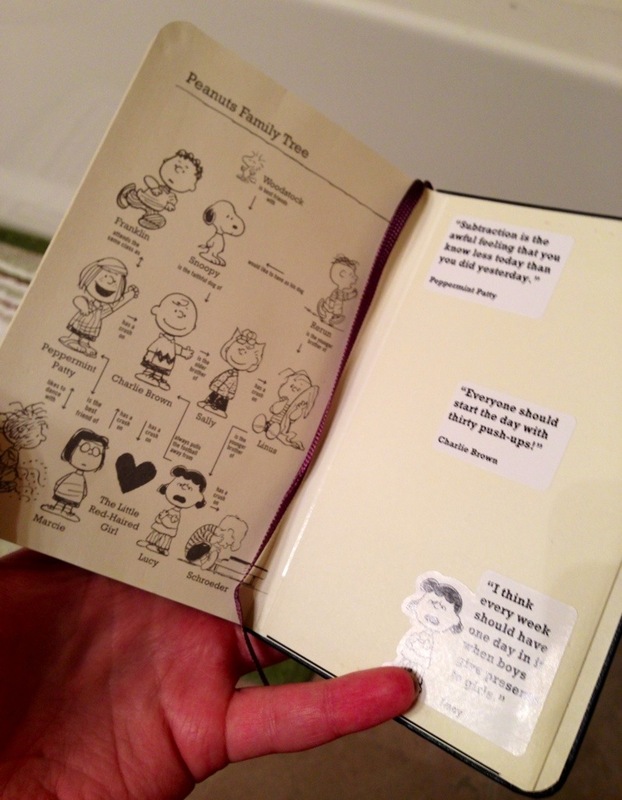 Now, I like this notebook, but I’m not insane. I’m not going to pay top dollar for a product that I value CHIEFLY BECAUSE IT IS SO HORRIBLY CONSTRUCTED. I might as well staple five dollar bills together, draw on them, and throw them out the window. But, my friends, these are simple notebooks. After a bit of Googling I settled on this tutorial, and got to work on making a proof-of-concept prototype. Bound left-handed-ways. 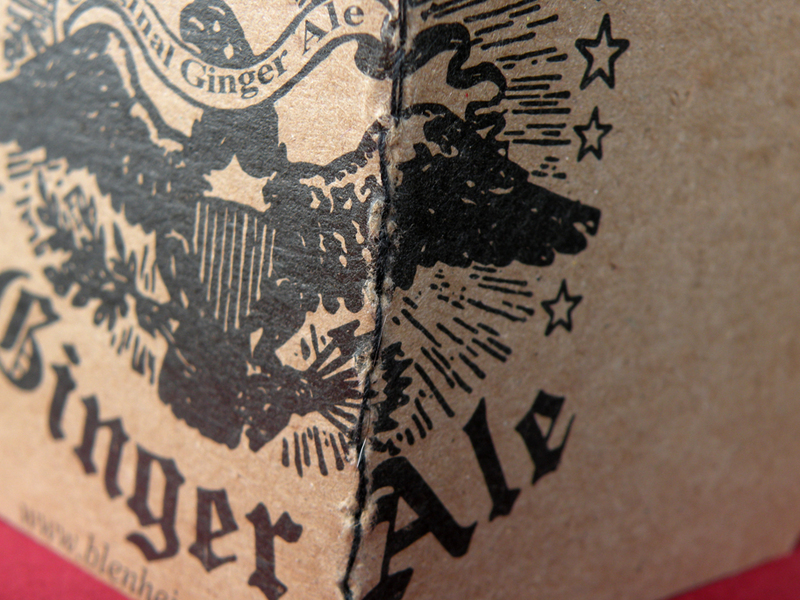 Also, if you don't know Blenheim's Ginger Ale, it is the best ginger ale in the world. Period. Exclamation point. Semicolon; no exceptions. Then I made another prototype when I was bored at work (there’s often a lot of downtime) and realized I still had my needles and thread with me. 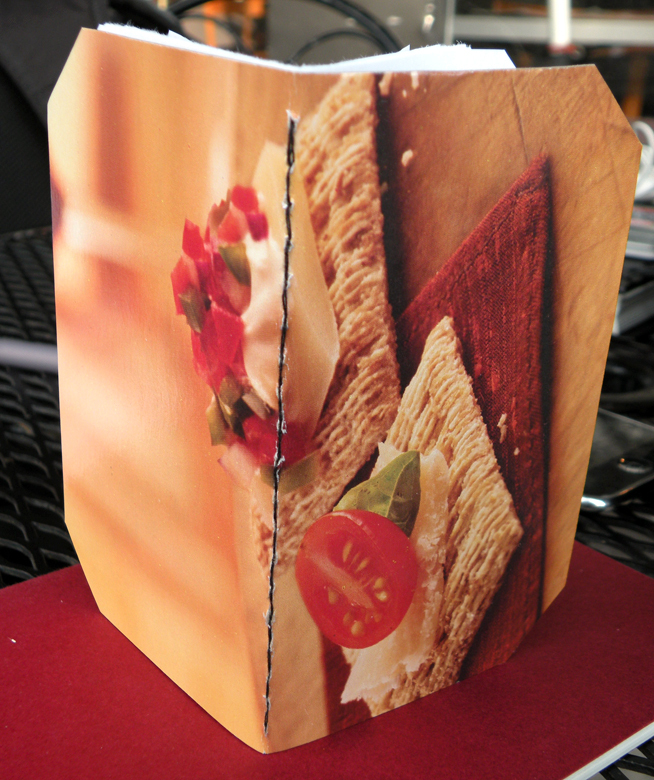 I had just finished a delightful box of Triscuits, and it served me well in my boredom-fueled-craftmaking. Cut the corners off Battlestar Galactica style, cause I'm cool like that. Also because I didn't have a corner rounder at the time. It looks just like a real notebook! WITH POCKET, BOOYAH. 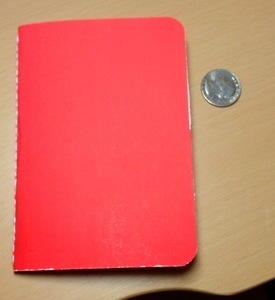 Also note that this notebook is left-handed bound.